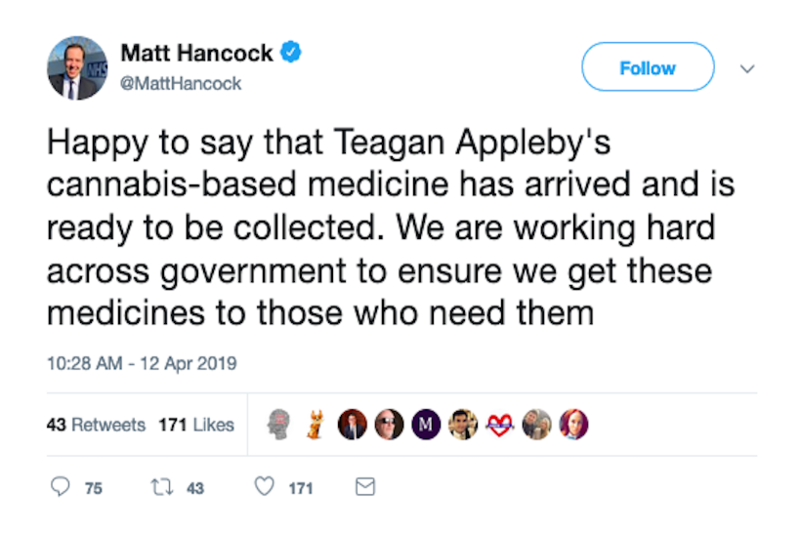 Health Secretary Matt Hancock has agreed to return cannabis medicine to Teagan Appleby, prescribed by a paediatric neurologist in the Netherlands, after it was confiscated by Border Force at an airport. Emma Appleby – whose nine-year-old daughter suffers from Lennox-Gastaut syndrome, which can cause up to 300 seizures a day – said she was “overjoyed” by the decision, but added that the ordeal had provided yet more evidence that the system was “not working”. The Applebys had been forced to crowdfund £4,500 for the Dutch prescription. 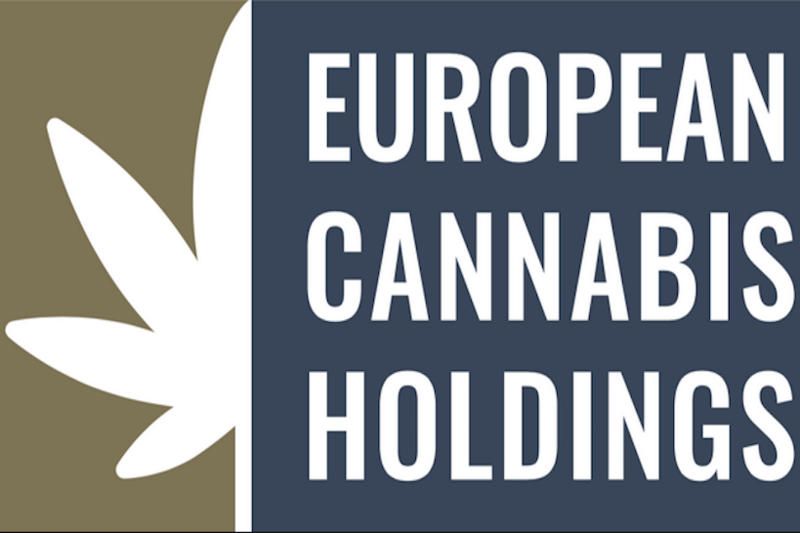 European Cannabis Holding has opened a private medical clinic in Solihull, Birmingham, following the launch of its first UK clinic in Manchester. It will cost £250 for a consultation with a doctor and up to £800-a-month for a prescription. There are already 45 people on the waiting list. 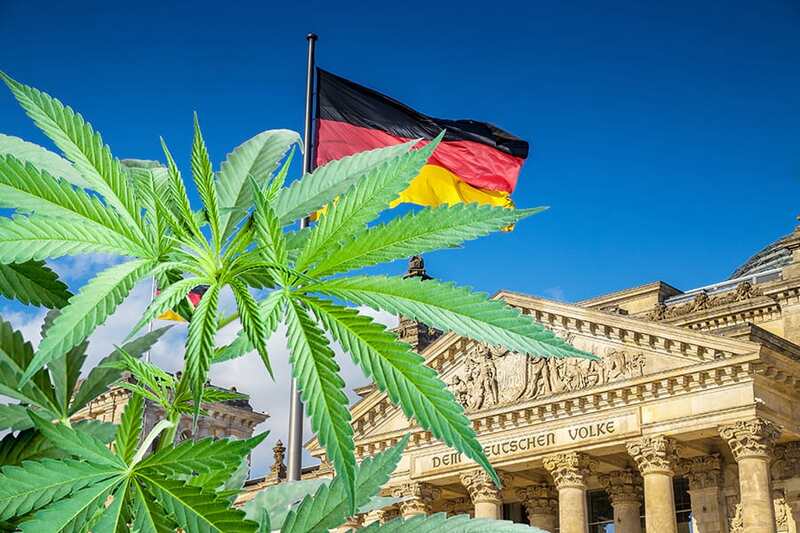 Motorists caught driving after consuming cannabis will no longer face having their driver’s licences immediately revoked in Germany, but will first be subjected to a medical evaluation determining whether they are fit to drive. 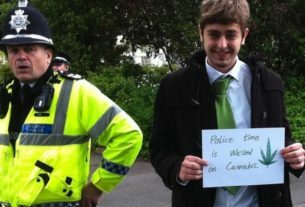 Until now, those caught with one nanogram per millimetre of THC in their bloodstream faced the instant loss of their licence. 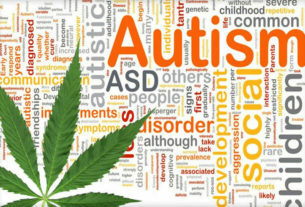 A group of experts proposed in 2015 to increase the limit to three nanograms per millimetre, because THC can remain in the bloodstream days after a person consumes cannabis. But a federal court ruled the limit should stay the same. Despite the legalisation of cannabis in California about 77% of local governments have passed laws to ban pot shops. With lawmakers saying these bans do not reflect the will of the voters, a new state-wide bill is being proposed to make local governments comply. The legislation would override those local ordinances in areas of the state where a majority of the voters approved of Prop 64.